Example Sketchbook Circle from MoreTEA. 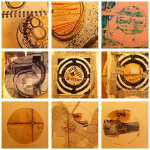 A new project proposed for 2014 is to create a ‘digital’ sketchbook circle with interested Art practitioners over the country. Some of the interested parties do not have access to an IPad so will be using Photoshop and a camera instead, but the results should be diverse! ​As a warm up to a longer scale project all participants in the circle will be sent a digital image: this should inform some kind of digital addition/ manipulation/ response. Then the image will be forwarded to the next person in the circle the following week, and so on until the original owner receives their image back. We will track images on this site and through Twitter using the hashtag #TEAdigital. Come back soon and see what we have been up to! 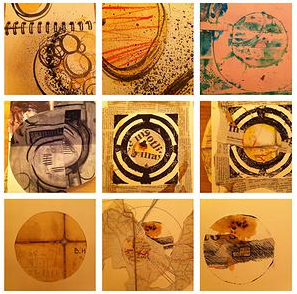 Maybe we could start a digital (or ‘real’) sketchbook circle as a Northampton Inspire group. We could start with the same digital image and take it away, manipulate and work with it as teachers or with pupils and bring it back to the next meeting to have a look at the changes and developments.